THURSDAY, March 9, 2017 (HealthDay News) -- Two key House panels on Thursday cleared the Republicans' plan to replace the Affordable Care Act, amid growing backlash from consumer and medical groups that oppose the GOP plan. Following a marathon session, the House Ways and Means committee approved the plan early Thursday morning, rejecting a variety of Democratic amendments along the way. And later on Thursday afternoon, the House Energy and Commerce Committee also approved the legislation on a party-line vote of 31 to 23, after debating the measure more than 27 hours, The New York Times reported. Next, the controversial bill heads to the House Budget Committee before a final House vote, slated for the week of March 20. Defending the GOP plan, House Speaker Paul Ryan (R-Wis.) on Thursday described the repeal-and-replacement effort, outlining both the strategy and major provisions of reform. The bill currently moving through House committees is a "reconciliation" bill, he explained. It is written in a way to prevent a Senate filibuster, and it represents the first leg in a three-pronged approach to reform. It does not address every aspect of reform. Ryan added that U.S. Health and Human Services (HSS) Secretary Tom Price has wide discretion to administer health care. He said the second leg of the reform strategy would involve administration action, whereby the HHS Secretary "deregulates the marketplace and allows more choice and more competition." In addition, Ryan envisions moving additional bills independently. He said such measures would deal with "interstate shopping" for health insurance, for example, and the creation of "association health plans that allow national industry groups to offer health insurance to their members, for example." "This is the closest we'll ever get to repealing and replacing Obamacare," Ryan asserted. But opposition continues to grow as the bill winds its way through the House. Seven major hospital groups have joined major physician and consumer organizations in opposing the GOP replacement plan. In a letter to Congress, hospital groups, including the American Hospital Association, warned that the proposal is likely to substantially reduce the number of Americans able to afford health insurance or maintain coverage under Medicaid. The proposed legislation would preserve some of the most popular features of the controversial health reform law sometimes called Obamacare, while eliminating some aspects that never caught on with the public. Young adults could still stay on their parents' health plans until age 26, and insurers still could not deny coverage or charge more to people with pre-existing conditions, according to a summary released Monday evening by the House Ways and Means Committee. House Republican leaders also have said they would maintain the Affordable Care Act's ban on lifetime insurance coverage caps, according to The New York Times. The proposed legislation would eliminate two of the Affordable Care Act's most contentious provisions -- the employer mandate and the individual mandate. Companies would no longer face penalties for failing to offer workers a health plan, and people would no longer face a penalty for not being insured. Instead, the Republican plan would penalize those who allow their coverage to slip. Insurance companies would be allowed to charge an additional 30 percent to anyone who has a lapse in their coverage. Insurance companies also would be allowed to charge older customers more for coverage. The Affordable Care Act (ACA) required that insurers charge their oldest customers no more than three times the prices charged to the youngest, but the proposed GOP legislation would allow them to charge five times as much. The ACA's complex system of income-based subsidies to help pay insurance premiums and cover out-of-pocket expenses would be replaced by a simpler system of refundable tax credits for the purchase of state-approved health insurance. The new tax credits would be based on age, rather than income. People under age 30 would get a $2,000 annual tax credit to buy health coverage, with the credits increasing to a maximum of $4,000 for people over 60. A family would receive a maximum $14,000 in tax credits each year. The tax credits would be available in full to people earning less than $75,000 and households earning less than $150,000, but would be reduced for those who earn more. In addition, the Republican plan would expand people's ability to funnel money into tax-free health savings accounts. Under current law, individuals can put $3,400 a year into health savings accounts, which are designed to hold pre-tax dollars for future medical expenses. Families can currently set aside $6,750. The new limit would be at least $6,550 for individuals and $13,100 for families. 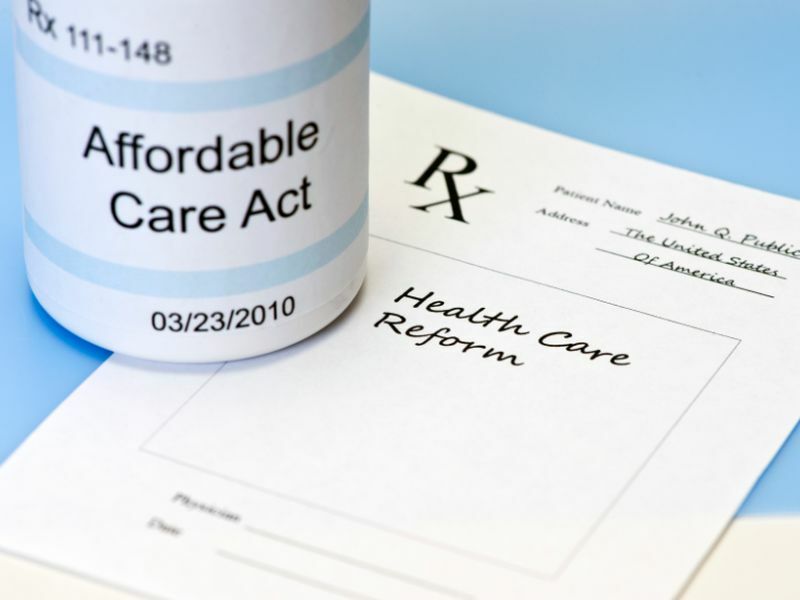 The proposed legislation changes a laundry list of other ACA provisions. For example, it repeals a tax on medical devices and prescription medications, and delays the "Cadillac Tax" on high-cost employer health plans until 2025. The bill also calls for some wide-ranging changes to federal health care funding. Medicaid -- the government-run program for the poor -- would be converted to a state-based block-grant program, with federal funding capped per enrollee and based on how much each state spent on Medicaid in fiscal year 2016. For the 19 states that balked at expanding Medicaid, the bill would provide $10 billion over five years to help extend coverage to the poor. The House Republican proposal also would cut federal funding to Planned Parenthood. The women's health organization would no longer be eligible for Medicaid payments or federal family planning grants. Two key House committees -- Ways and Means and Energy and Commerce -- are expected to start working on the new health care package on Wednesday, the Times reported. House Republicans said they expect the committees to finish their work this week, so that the full House can pass the measure before a Congressional spring break scheduled to start on April 7. The Senate then would have to pass its own version of health care reform, and any differences between the two worked out in conference. Health policy analysts, interested parties and other stakeholders offered widely differing opinions of the draft proposal. Those who supported the expansion of private health insurance and Medicaid under Obamacare were generally critical of the GOP blueprint. Opponents of Obamacare, meanwhile, offered mixed reactions to the plan. Edmund Haislmaier, a senior research fellow at the conservative Heritage Foundation, said the proposal misses the mark. "Congress should continue to focus on first repealing the failed policy of Obamacare and then act to offer patient-centered, market-based replacement reforms," he wrote in a blog post. Members of the House Freedom Caucus, representing conservative Republicans, vowed to do just that. Rep. Jim Jordan (R-Ohio) said he would be reintroducing an Obamacare repeal bill so that a "patient-centered" plan that brings down the cost of insurance could be enacted. Atlanta otolaryngologist Dr. Elaina George said "the problem with Obamacare was it stripped away patient choice" and offered no price transparency. "You had no idea what the costs were, and you were stuck with purchasing a product that you couldn't afford," she said. George is author of the book Big Medicine: The Cost of Corporate Control And How Doctors and Patients Working Together Can Rebuild A Better System. While she said she's happy to see that the GOP plan eliminates the individual mandate, what's unclear is whether the proposal provides some clarity on health care prices. "People need to understand what the true costs of health care are," George said. Ron Pollack, executive director of the health advocacy group Families USA, offered a sharp rebuke to the Republican proposal. "The GOP health care proposal would be laughable if its consequences weren't so devastating," he said. Although the House bill provides no indication of the number of Americans who would be covered by insurance, or its cost, Pollack's read is that "millions" would be stripped of coverage. He said the measure would "drive up consumer costs." Leighton Ku, professor of health policy and management at George Washington University, said a fair evaluation of the bill requires input from the nonpartisan Congressional Budget Office. The CBO is charged with providing estimates of the legislation's cost and coverage. "My quick assessment is that the bill will make insurance less accessible for millions of Americans, particularly working-class Americans," Ku said. John Auerbach, president Trust for America's Health, said the GOP proposal would eliminate an Obamacare provision that established a national fund for prevention and public health. That cut would erase 12 percent of the U.S. Centers for Disease Control and Prevention's budget, including $625 million annually for state and local public health efforts to prevent diabetes, heart disease and cancer, he said. "Losing this funding would wreak havoc on our efforts to reduce chronic disease rates, immunize our children, stop the prescription drug and opioid epidemic, and prepare the public health system to prevent infectious disease outbreaks," Auerbach said. Dan Mendelson, CEO of the consulting firm Avalere Health, said there are no easy answers. "Health care is expensive and it becomes more expensive every year," he said. "Under the GOP plan, it will be more expensive every year just like it was under the Democratic plan." Still, he called the Republican plan a feasible alternative, the Associated Press reported.